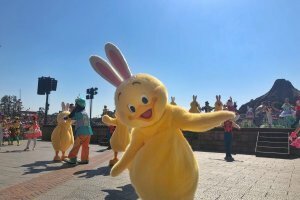 Celebrate Easter with the adorable Usapiyo and Usatama of Tokyo Disney Resort! 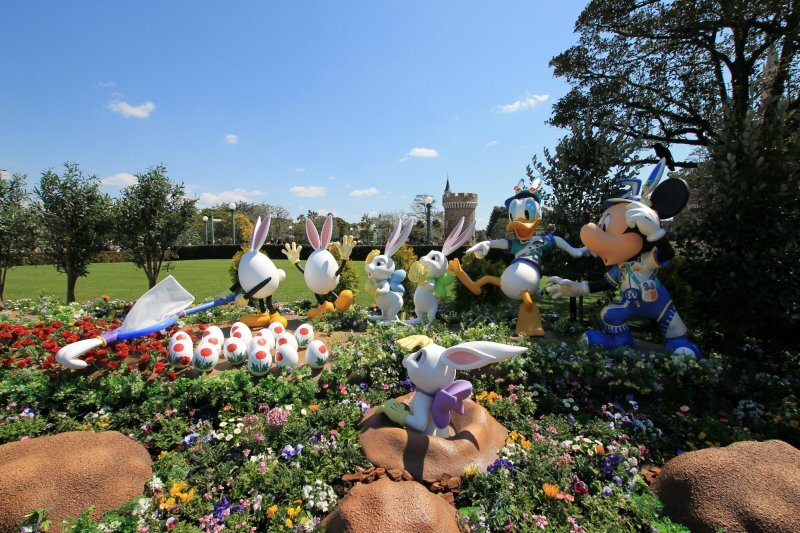 Easter has arrived at Disney! 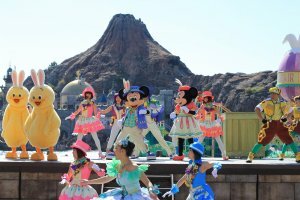 This spring from 4th April to 2nd June, both Tokyo Disneyland and Tokyo Disneysea will be overrun with usapiyo and usatama, from open places like plazas to hidden nooks and crannies, making great photo spots for memorable holiday pictures. If you’re wondering what Usapiyo and Usatama are, they are none other than the classic Easter combo of chicks and eggs! 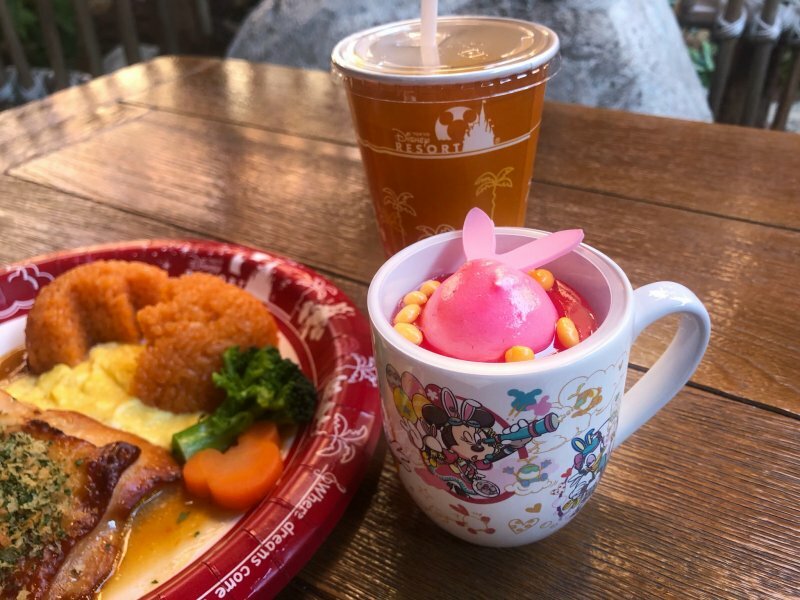 Usapiyo are pink-cheeked fluffy chicks with bunny ears while Usatama are pearly white Easter eggs topped with a pair of bunny ears too. 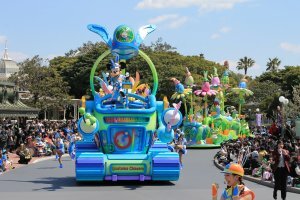 The story goes that Mickey and his friends were making Easter eggs when some of them came to life as usatama and made their grand escape, causing a bedlam in Disneyland! 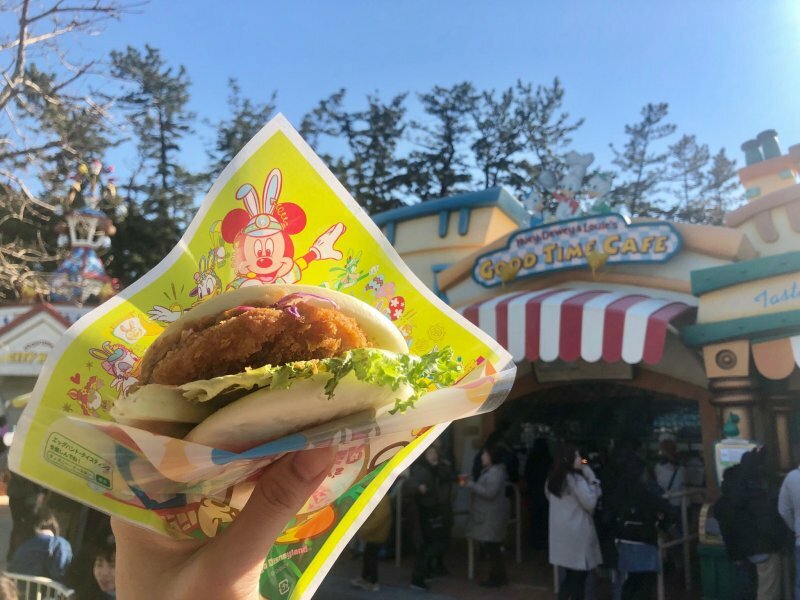 Head down to Tokyo Disney Resort this season to revel in the spring mood alongside these cute usapiyo and usatama! 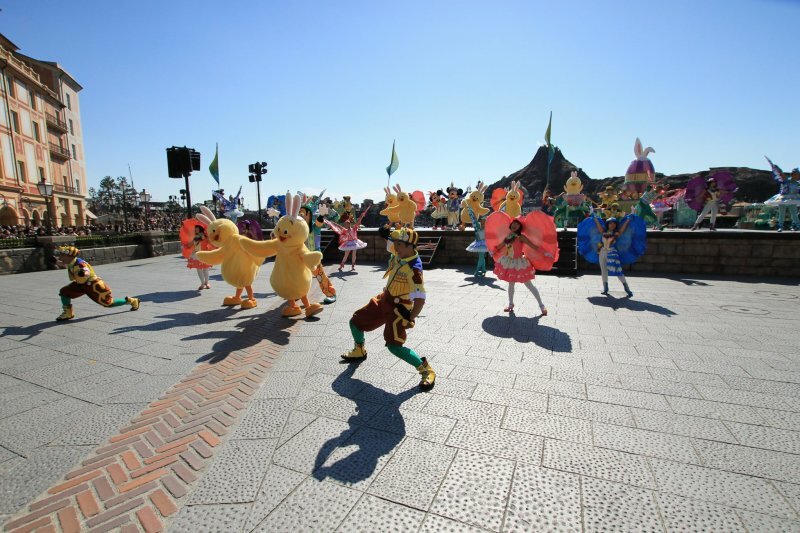 The “Usatama on the run!” Easter parade makes its first return to Tokyo Disneyland after two years! 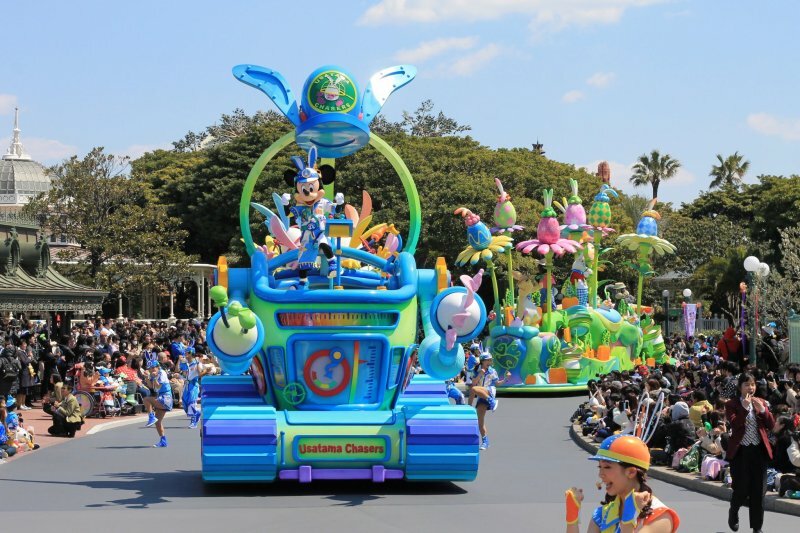 The parade features Mickey and friends, dressed as usatama chasers with vacuum cleaners and detectors to find the missing usatama that are running amok in the park. 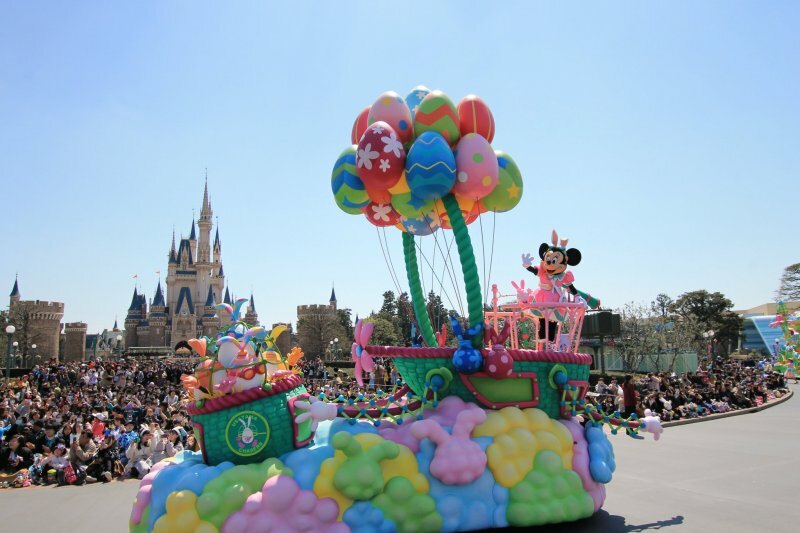 Together with the Disney Friends will be 90 performers and 7 floats, putting up a lively spectacle for the audience. For guests who want to join in the usatama search, there’s a complimentary “Search for Usatama” egg hunt program. Using the clues in the special map, locate the usatama tucked away in corners of the park. Guests who complete the quest will be awarded an original sticker to certify their success. Take pictures with the displays of bunnies, usapiyo and usatama alongside the Disney Friends in the plaza in front of Cinderella Castle. In Toon Town, pose with the egg maker that was used to make the mischievous usatama. 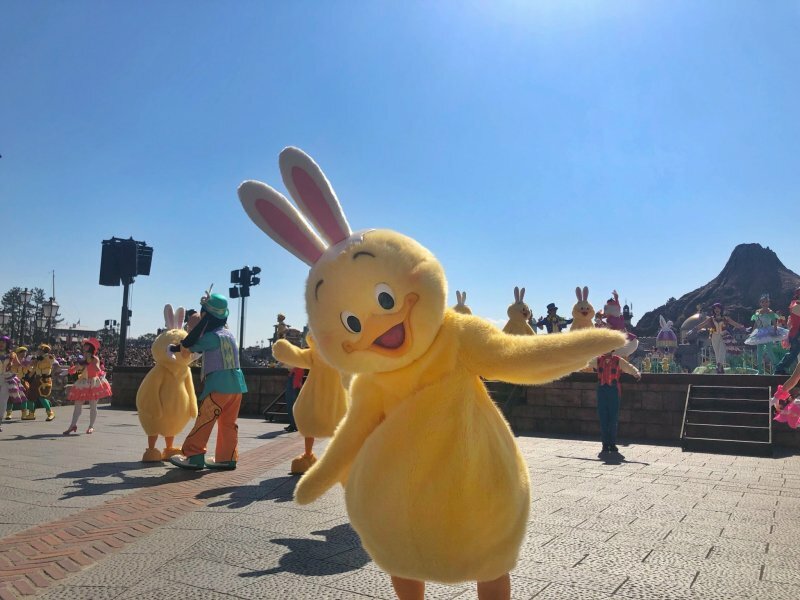 Catch the extravaganza that’s Tip-Top Easter Show with the Disney Friends and performers in a fun-filled dance showdown. Enjoy looking at the 5 boats make their grand entrance, gliding across the blue waters with the Disney Friends on board. From characters like Mickey and Minnie to the Butterfly Ballerinas and usapiyo, the show features 130 performers who will sing and dance their way into your heart! Cheer on your favorites and enjoy the enthralling scene. If you’d like to get to know the darling usapiyo better, take the complimentary “Be a Usapiyo Friend” quiz to learn more about them and better enjoy their presence this season! 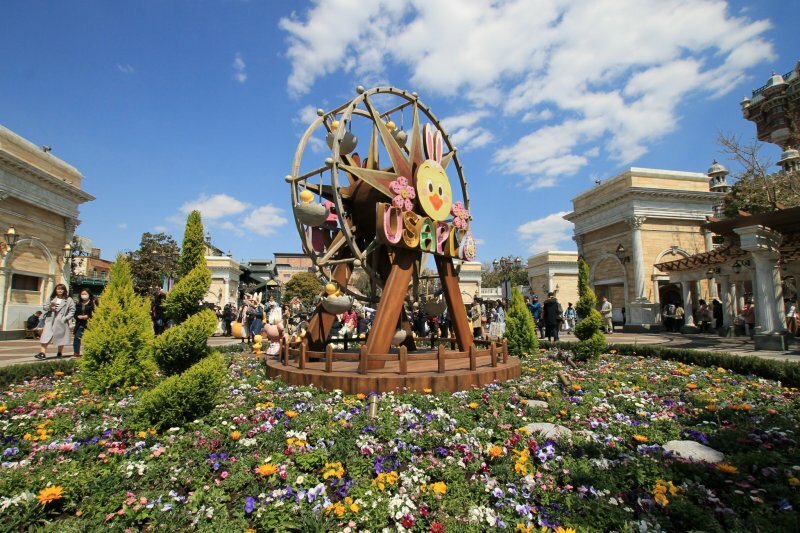 At Tokyo Disneysea, indulge in the plentiful displays of usapiyo and usatama from the park’s entrance, to Mediterranean Harbor and American Waterfront, including some interactive photo spots! 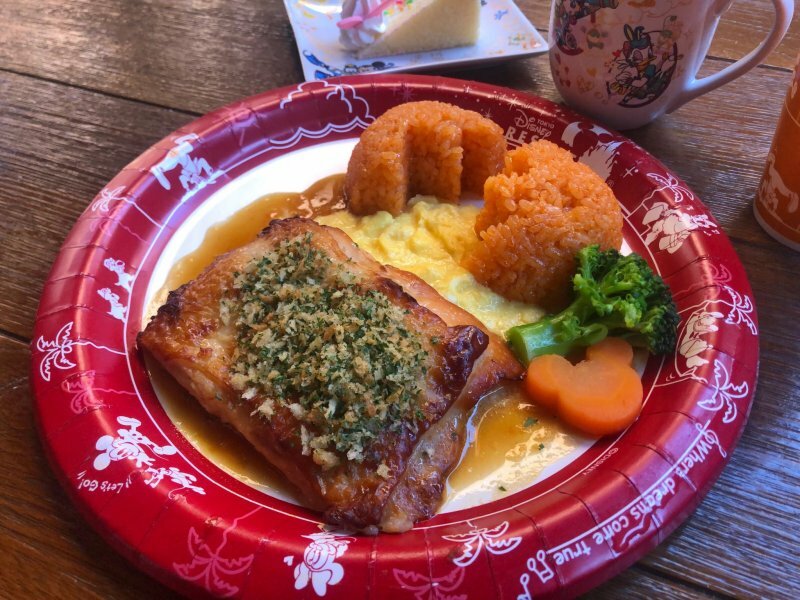 Dig into Easter theme with dishes that are shaped like eggs or contain eggs, ranging from main courses to snacks and desserts! If you’d like to, you can even bring home some dishware or an Easter gummy case with gummy candy as souvenirs. 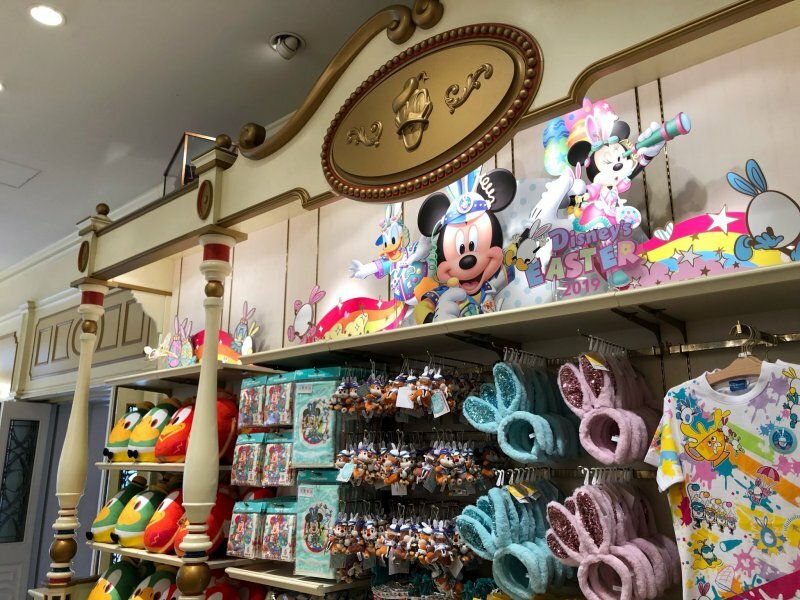 If you’re looking to purchase some Disney merchandise as gifts or to add on to your Disney memorabilia collection, both Tokyo Disneyland and Tokyo Disneysea will be selling up to 60 Easter-themed goods. 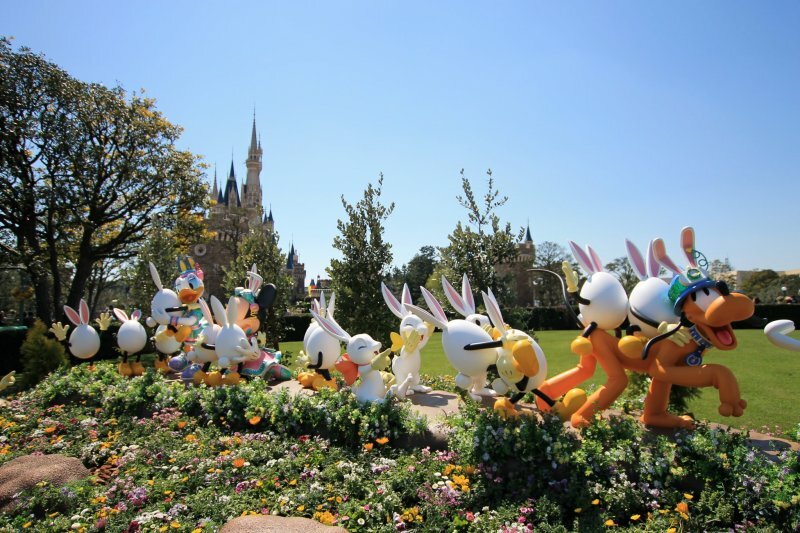 Products include rabbit ears headbands and caps, keychains of plush Disney Friends and Duffy and Friends dressed in Easter outfits, Pixar merch, and not to forget – usapiyo cushions, keychains and plushies. No matter the time of the year, it’s always a good time to visit Disney. However, with usapiyo and usatama hanging around for now (until 2 June 2019), don’t miss the opportunity to make your way down to mingle with these sweet fluffy chicks and cheeky eggs. 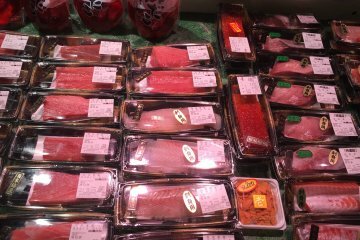 Take the South Exit of JR Maihama Station and walk 5 minutes. 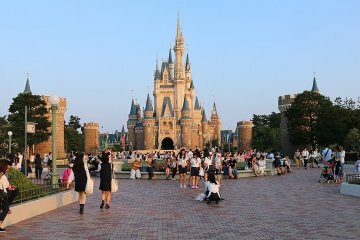 Take the South Exit of JR Maihama Station, then turn left and walk to the Resort Gateway Station (Disney Resort Line). 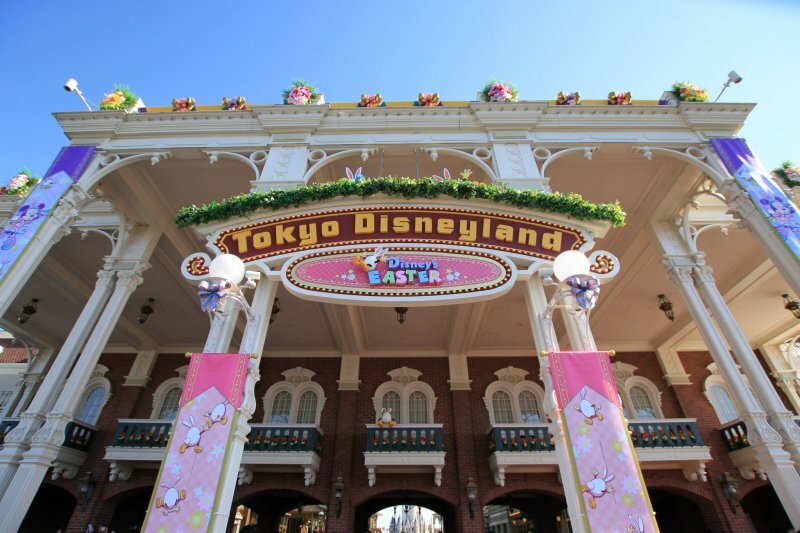 Board the monorail and alight 3 stops later at the Tokyo Disneysea Station. 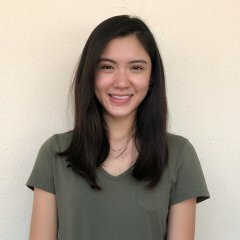 A Singaporean living in Tokyo, exploring Japan day by day. 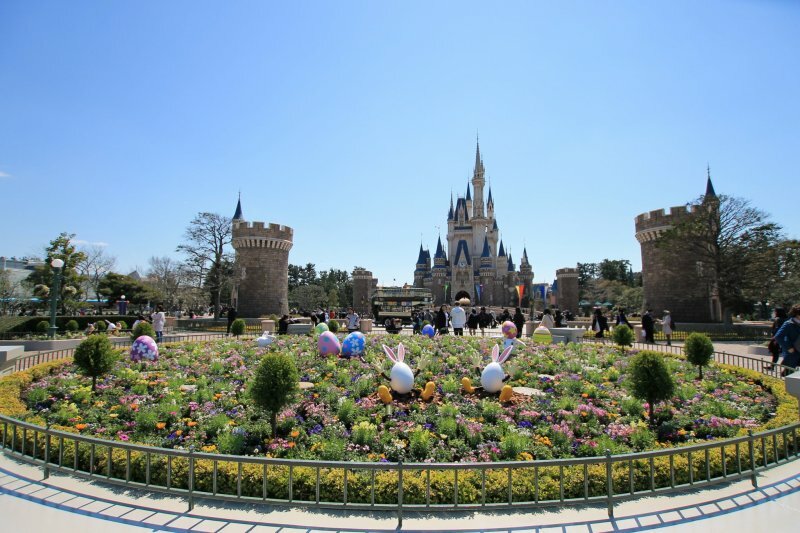 This sounds like a lot of fun, hunting Easter eggs around the park. Count on Disney to create a story line to amuse kids and parents alike. Perfect for anyone looking for something to do over the Easter weekend, especially since sometimes in Japan it's tough to find Easter themed events/activities!